Everyone seems to be on the up and up today finally. Z still refuses most solid foods I think she just hates vomiting them up. 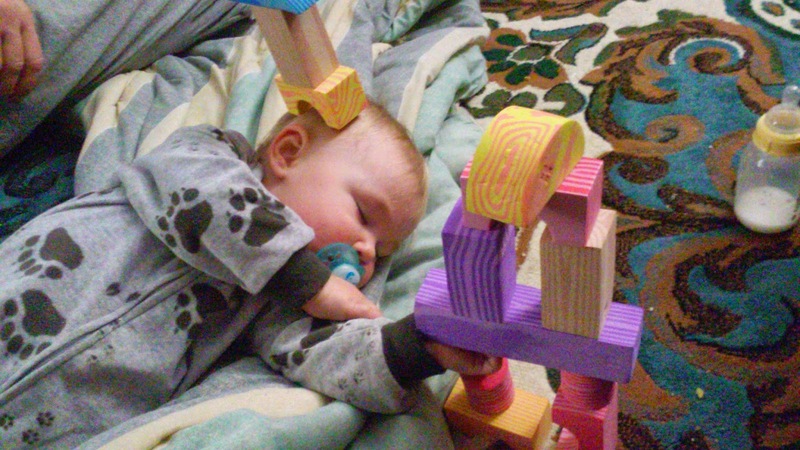 She was sleeping so hard yesterday evening I made her into a block tower. Yup built on her head and hand. 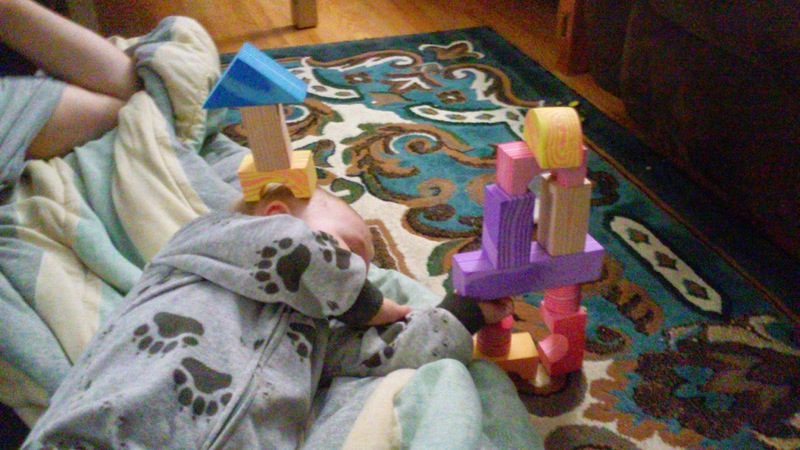 If she saw them she would knock them down immediately but she was sleeping so I had my fun. We dressed up as superheroes for a bit today too. 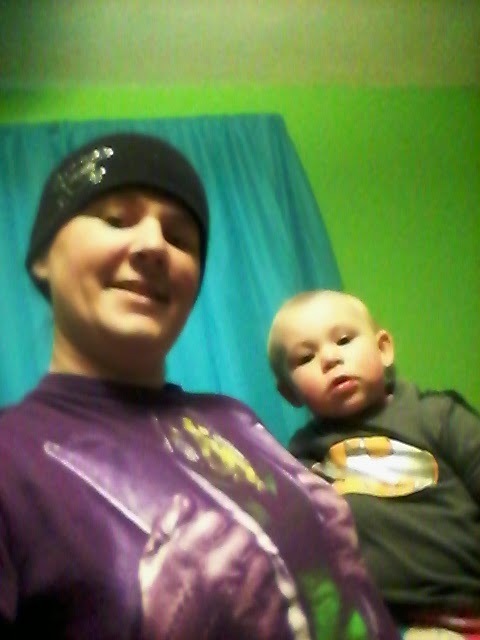 Ok Z dressed as Bat Man and I dressed as the Joker. I love the hand placement on this shirt lol. I made G work on his writing with these new pencil grips I bought him. 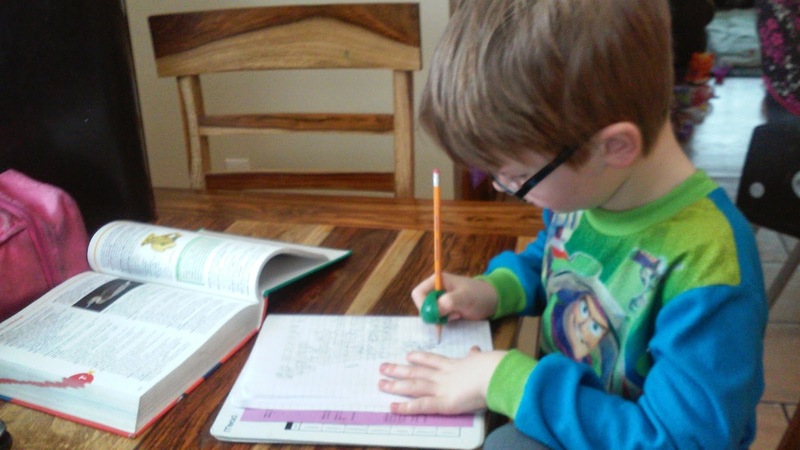 The boy holds his pencil between his first and second finger and no one has bothered to try to correct it. 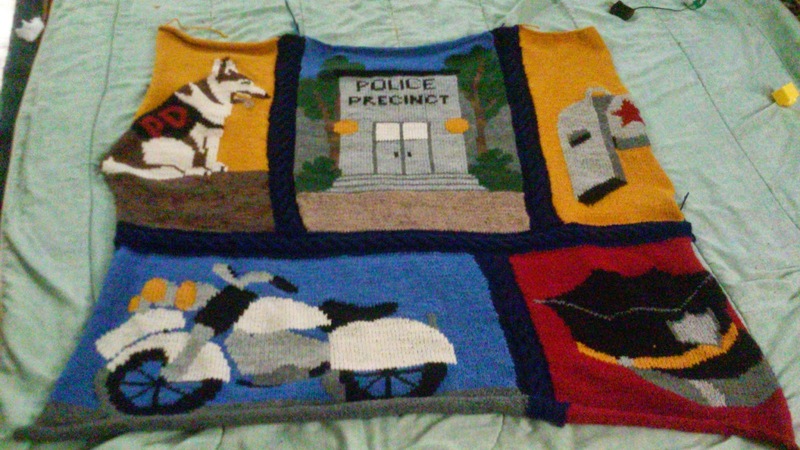 But, with being home sick the last 4 days I did make some progress on G's police blanket. Now it is starting to look like a blanket. I guess I better get going on the last block and connecting strip to get this bad boy finished.